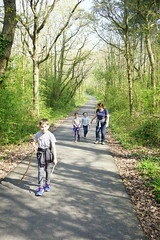 I’m ambitiously calling this post ‘Our winter in pictures’ in the hope that we are finally moving into spring! Looking at the forecast, I fear that may be premature…. but a girl can dream! 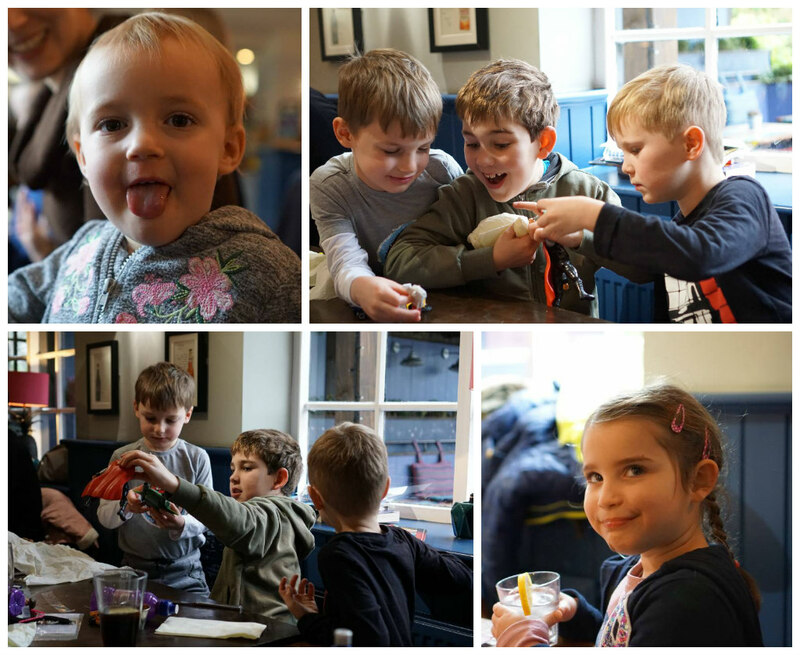 As part of my blog catch up, I’ve been sorting out a bunch of photographs from the past three months – so here’s a quick picture post of some of the ways we’ve been filling our weeks since the new year. I celebrated my 40th at the beginning of 2018, and enjoyed several weeks of treats (including an incredible holiday to Iceland – but that deserves a blog post of its own!). I got to celebrate with some of my oldest friends and our growing families in late January. 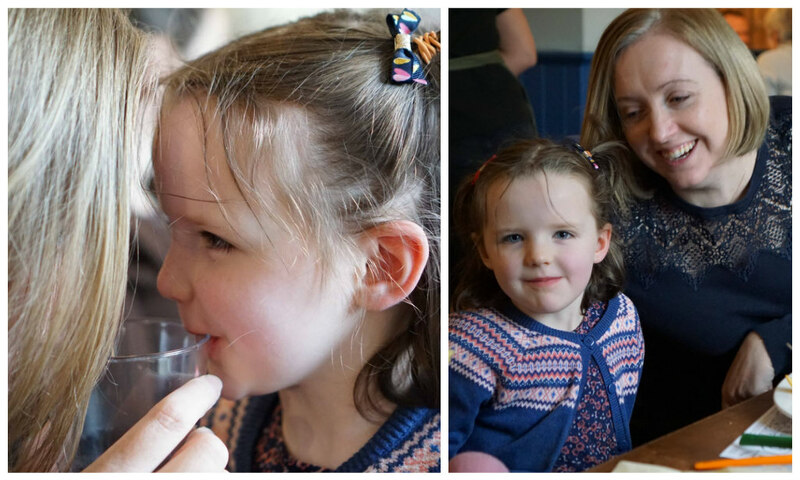 We met for a weekend lunch in a pub in the Surrey Hills – just about the mid point between our homes. 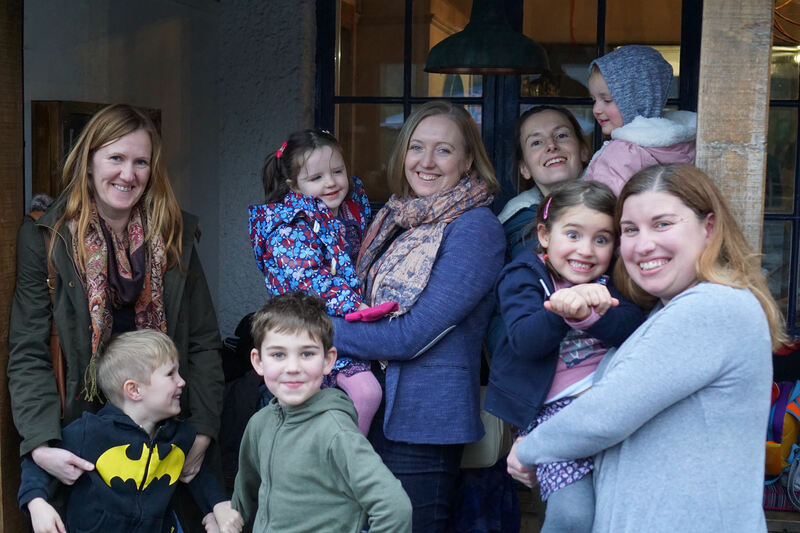 It’s crazy that our little gang of four girlfriends have 7 children between us – and they all had such a great time getting to know each other better! 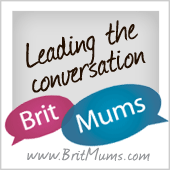 The kids got on so well, that us grown ups had plenty of time to chat and properly catch up with each other. We all have such hectic lives, we don’t get to see each other as often as we liked, so it was such a pleasure to enjoy a few hours together. 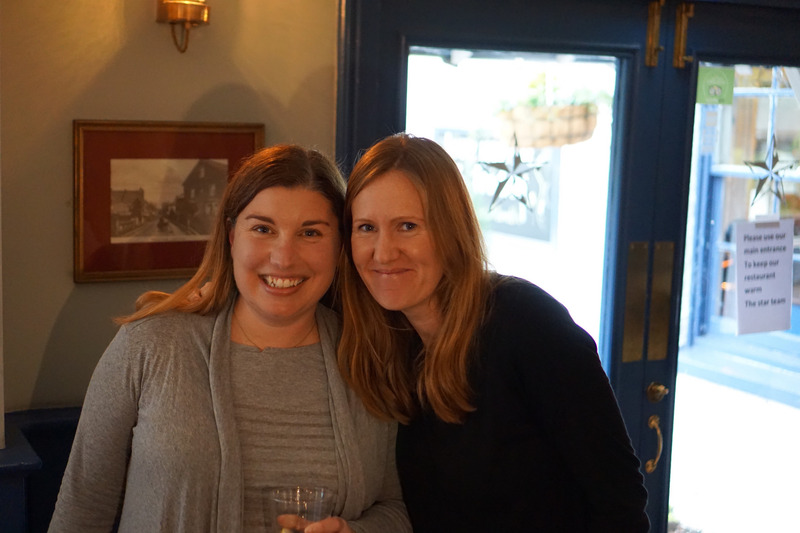 Here I am with Kate, over 20 years since we first met! 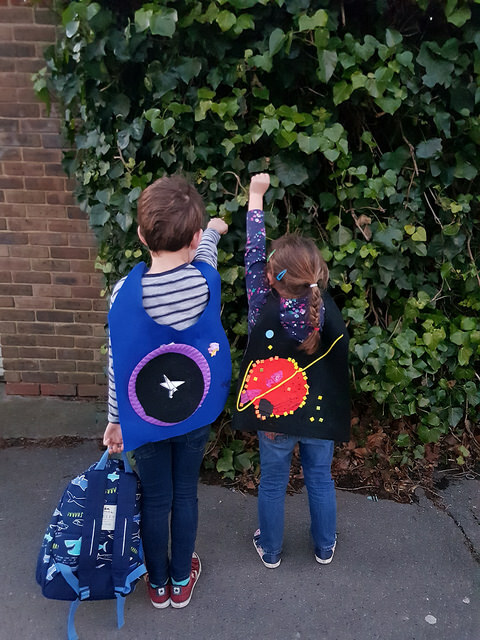 Most of our weekends have been a bit closer to home and a bit more mundane – with swimming lessons, cinema trips and a huge number of classmate birthday parties for the kids. 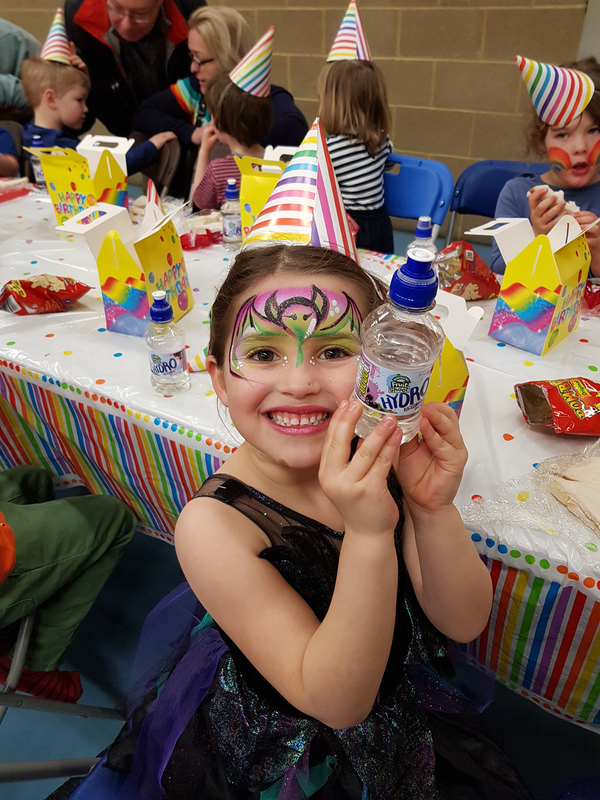 Here’s beautiful BatGirl Sophie at one party looking very glam! And back home, still in her face paints, contributing to our gingerbread man production line! Alex lost one of the games he has on his Nintendo and so has been desperately saving money to replace it. 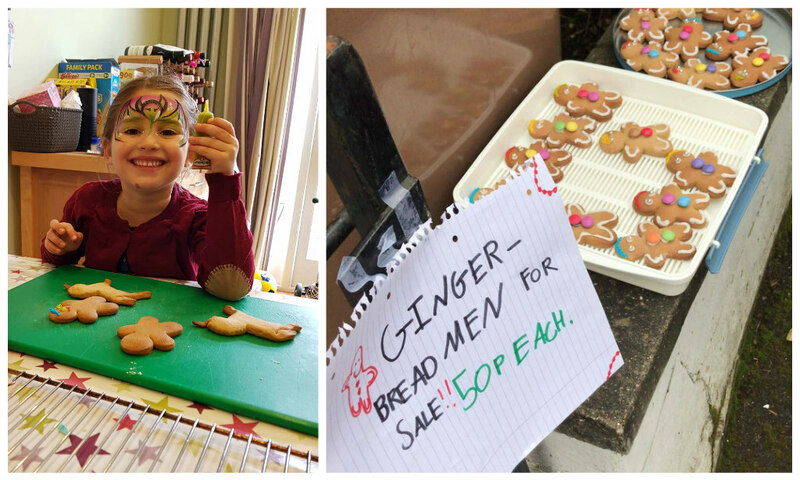 One of his money making schemes involved setting up a biscuit stall on our street – so we all contributed to the baking so he had plenty of supplies to sell! Our neighbours were all wonderful and Alex managed to add a few pounds to his piggy bank by the end of the day. 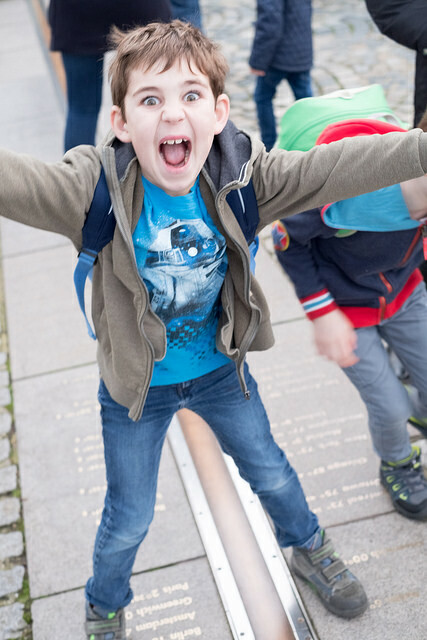 One of our lovely neighbours invited Alex along to visit Greenwich along with their family one weekend – and they sent me back this photo which never fails to make me chuckle. It’s Alex’s “Greenwich Mean Face”! We’ve ventured up into London ourselves a few times. 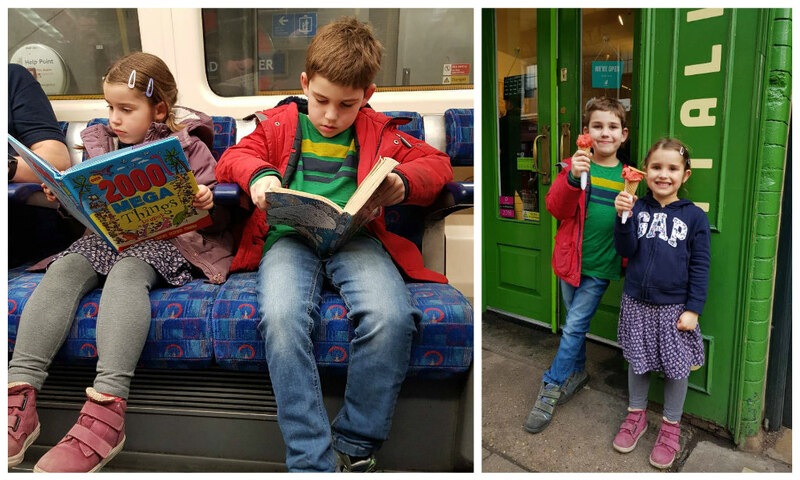 I love this shot of my pair studiously reading on the tube, and then tucking into ice cream on a chilly February day! It’s never too cold for a cone. But it did get colder earlier in March as we were hit by the “Beast from the East”. 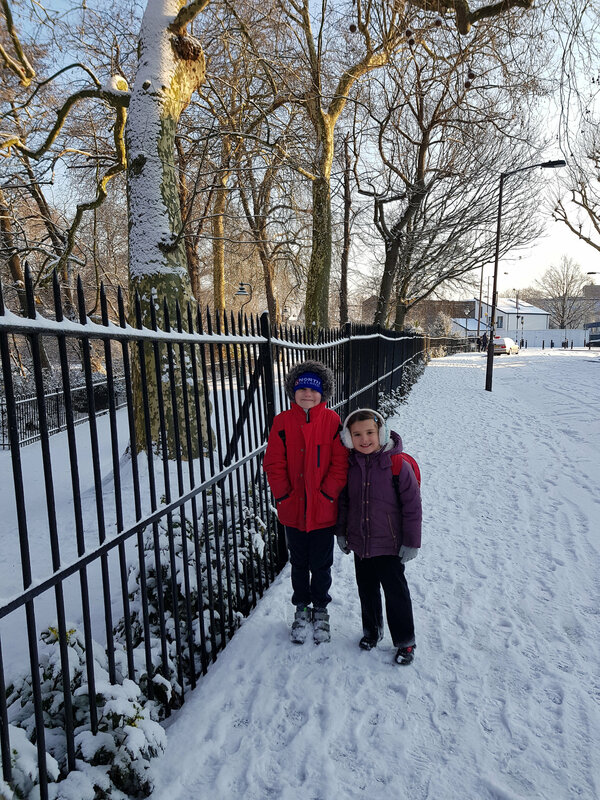 For the first time in years we had a decent covering of snow in central London. 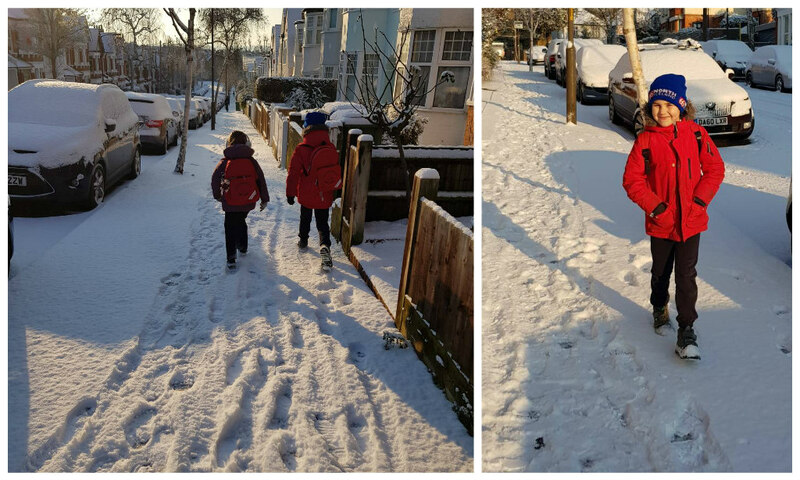 We had a very exciting walk to school through the fresh snow. 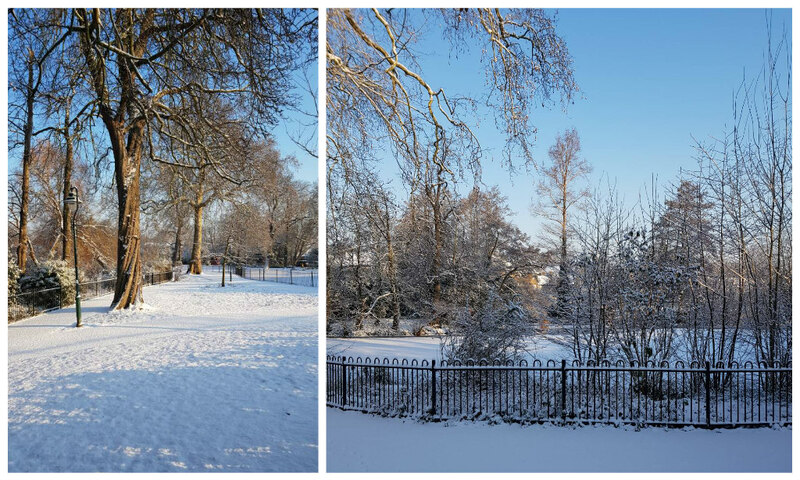 The local park looked so beautiful – although the ducks looked pretty confused that their lake was frozen. 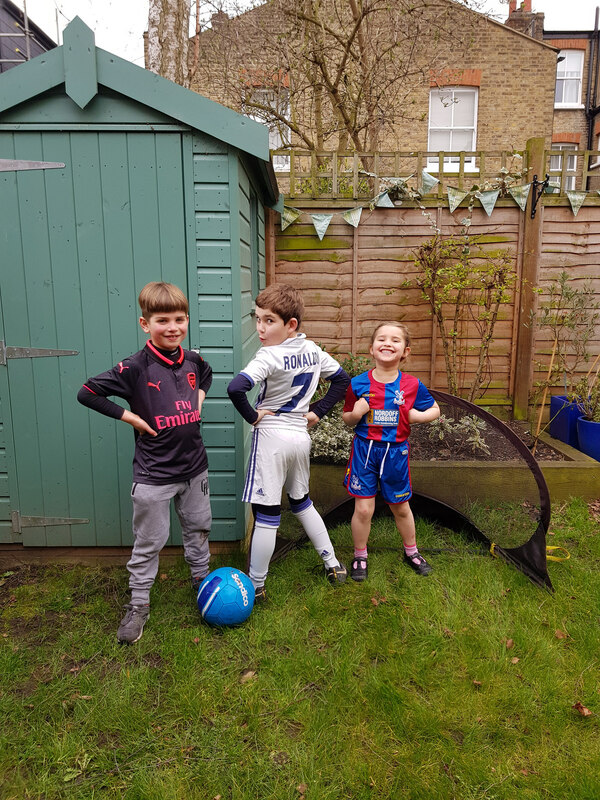 Once the snow had thawed out, we finally made it out into the garden for the first football of the year . Here’s Alex at the end of a penalty shoot out Sophie and his friend Maksim. Look at my boy’s face! 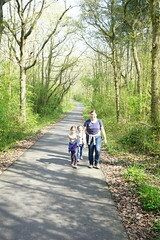 And finally, last weekend, I took the kids out to Berkshire for my twin nieces’ birthday party. 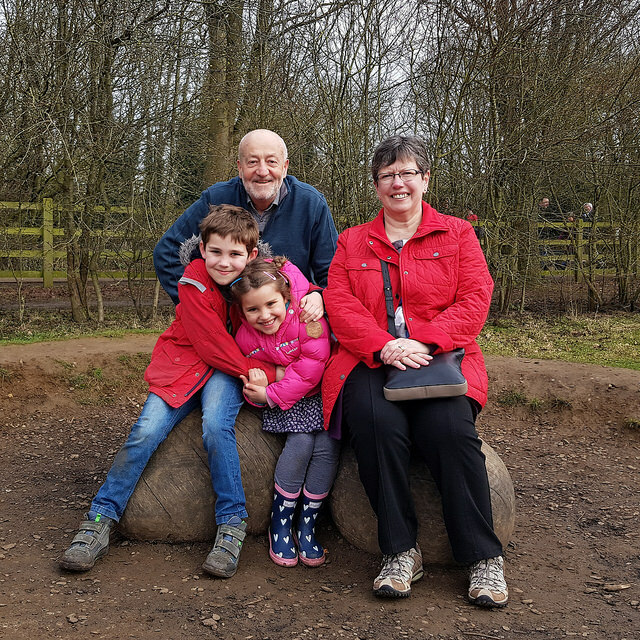 We made a day of it and met my parents for a Sunday roast before having a wander in Dinton Pastures – a country park I spent many days exploring as a child. 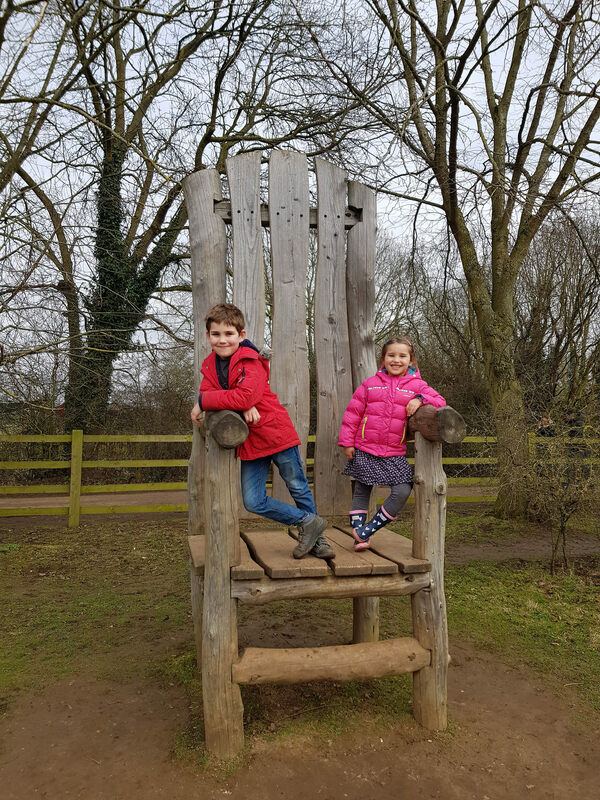 The quality of the playgrounds have improved significantly in the last three decades, and the kids had a wonderful time – here they are sneaking a rest on a giant’s chair.